Hot rolled steel tubes are manufactured by passing sheet metal through rollers to achieve specific physical dimensions. The finished product has a rough surface finish with radiused corners, and either a welded or seamless construction. Manufacturing hot rolled square steel tubing involves rolling the steel at temperatures exceeding 1,000°F, which is above steel’s recrystallization temperature. This makes the steel easier to shape and form into a tube. A potential downside of the process is that there is less control over the dimensions of the finished product once it cools. Because of these factors, hot rolled steel tube is best suited for applications that do not require precise shapes or tight tolerances. Since there is less processing involved with hot rolled square steel tubing, it is usually less expensive than cold rolled steel tubing. Hot rolled steel is also more malleable, making it easier to bend and form the tubes into your desired shape. It is ideal for construction and structural applications because of its strength and durability, but it also versatile enough for use in a range of commercial and industrial applications. Browse our product selection to request a quote or learn more about our cut to size service for hot rolled steel tube. Hot rolled square steel tubing is valued for its overall strength, durability and ability to withstand extreme temperatures, pressures and a wide range of elements. Square steel tubing is regularly used for domestic and industrial applications and is easily welded, formed and drilled. Measurement considerations for hot rolled steel tubing include size, length, and wall thickness. Our metal calculators are a handy tool for calculating material weight or converting measurements. 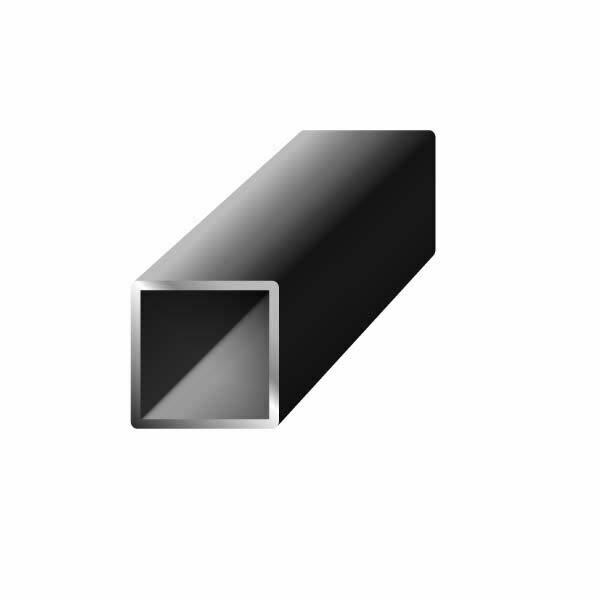 Learn more about custom cut-to-length options for our hot rolled square steel tubing. Industrial Metal Supply stocks a large inventory of square, round, and rectangular hot rolled steel tubes in a wide range of standard sizes, wall thicknesses, and lengths. We also provide custom cut-to-length tubing to meet your specifications. Browse our inventory of hot rolled square steel tubing to request a quote or contact us to discuss custom sizes.